The holidays are coming, and VR sales are through the roof. More people are discovering VR is immersive and fits into the home with only a few small modifications. There are several ways to tailor your VR experience, so if you’re considering an upgrade (or a generous gift) this season, then you might want to know where to start. We’ve looked at who we think are the ideal consumers for VR, and some accessories we think show potential, to form the ideal gift guide. Here are our thoughts on VR gifts this year. Easy access is basically “plug and play”, and so our top pick in this category is VirZOOM with a PS4 (which most of our readers already own). There are a few entry points for VirZOOM that offer some flexibility to you, so a PS4 is not required if your mobile device is up to par. If your smartphone was purchased in the past year or two, you’re probably good to go. Technically, you need Android 7 or better. Samsung’s Gear is a good entry point, and that typically utilizes the Galaxy S7 or better as its base device. VirZOOM is easy to setup and comes with a suite of free games. You must already own a headset, or be willing to purchase a new one (another reason why the affordable PSVR is preferred here). We recommend a PS4 is because it’s less expensive than a PC with other games to choose from, but we doubt VirZOOM will become boring for anyone. We feel the mobile experience is equivalent, but mobile headsets don’t seem as concerned with full motion tracking a body within a room. You might consider a Vive or an Oculus if you have a PC, mostly because buying into these headsets gives your setup some room to grow and change with the technology. It’s probably true that the Vive offers a better 1:1 tracking experience in VR than the Rift does. It’s also double the price, and that’s not what everyone is looking for in a headset. You can’t beat the Rift’s immersive experience for the cost. Mobile devices can offer a decent entry point, but you can’t really get physical with them the way you can with a PC-based device. The only real challenger in the same price range is PSVR, which offers a virtual reality experience contained on the PlayStation. Sony recently cut the price of the headset and is making a big push with in-home trials. If you already own a PS4, there’s no reason to pass this up. If you don’t, and you’re running on a PC, the Rift is one of the best entry points. Let’s tackle the “well-built PC” part first. You don’t want to skimp on the basics if you want a PC that will last into this generation. Essentially, you want to use 4K as your benchmark. Newegg suggests aiming higher than a GTX 970 (I would say begin at around the 1070) for GPUs. You may even want to double up on GPUs. 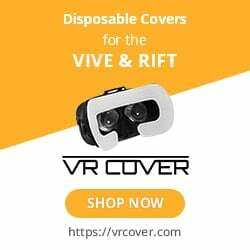 Both the Rift and Vive recommend an Intel i5 4590 or better. The only other concern is cooling. Building a PC these days isn’t difficult, but the wiring can be a lot to manage for a newbie. Pre-built PCs also exist, even in the budget category, and they are worth checking out as an entry point. The Vive is one of the best headsets on the market right now, and it’s directly hooked into the Steam interface. That gives you access to a suite of games you get with the Vive, as well as more titles available through Steam. Odds are that one of the titles you’ve seen here that catches your eye is available on Steam and compatible with the Vive. You can also upgrade your motion tracking with more units, and augment your experience with the upcoming “tracker” that attaches to other objects for a tactile feel. The Samsung Gear is almost uncontested here because the company partnered with Oculus and continually adds more and more content to the device. Short films, apps, games and more are all available on the Gear, and the new update makes it backward compatible with old devices. It also adds control functionality that works with Samsung smartwatches. Neat! Lenovo’s Star Wars experience is our runner up. It offers solid fitness potential, a fun dueling mini game and doesn’t require ample space. Plus, we feel it would be a hit at parties and a fun way to encourage your friends to dive into VR/AR. The Zeiss is moderately priced on Amazon and has an SDK (for you technically inclined readers) and a somewhat active development community. It’s also designed to work with iOS and Android phones in the common 4.7 and 5.2 inch sizes. What good is VR without cool accessories that give you better tracking, more insight into your workout, and offer a better overall experience? We recommend either the Samsung S3 or the LG Watch Sport for Android users, and the Apple Watch for those on iOS. Samsung’s offering is really light years ahead of everyone in terms of VR functionality, so that is our prime choice. I am also fond of the aesthetic of the Nokia Steel, but freely admit there are a variety of better options for fitness enthusiasts. There are also heart rate trackers that can offer similar data at a lower price point. VR accessories include better tracking units, and devices that help with haptic feedback. It might be worth investing in gloves, improved controls, or even a better device. It’s hard to make a specific recommendation here, because everyone’s setup is different. We’ve made a few recommendations on devices and weights you can use to augment your workout and improve its fitness potential. Unfortunately, as much as we might want different circumstances, we cannot recommend a consumer-grade omni-directional treadmill at this time. We also can’t recommend a VR backpack, unless you’ve already got one or a PC that is VR ready and the willingness to build your own. Neat idea, poor execution. This gift guide is about helping you choose your entry point to VR. If you’ve been on the fence, prices are at historic lows and there are many ways to jump into a fitness experience within VR.